Shopping for Star Wars T-Shirts? There's no job too big for this intergalactic bounty hunter! High-quality t-shirt featuring Boba Fett from Star Wars. 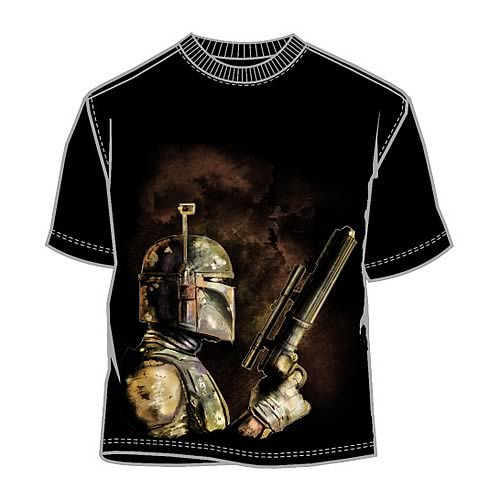 Star Wars Boba Fett The Bounty Hunter T-Shirt. Find your own carbonite-frozen prisoner with this 100% cotton, high-quality black t-shirt. Machine washable. Order yours today!